How to prepare your own garden compost! Reducing waste and recycling natural resources is not only the need of the day but also a productive activity for gardeners. By following some simple methods of recycling organic waste from lawns, gardens and kitchen, you can prepare your own garden compost to save some bucks and keep the natural environment clean and healthy. Preparing your own garden compost might sound like an overhead and time consuming activity but it certainly pays dividends in the long run in terms of healthy plants, better gardens and cleaner environment. 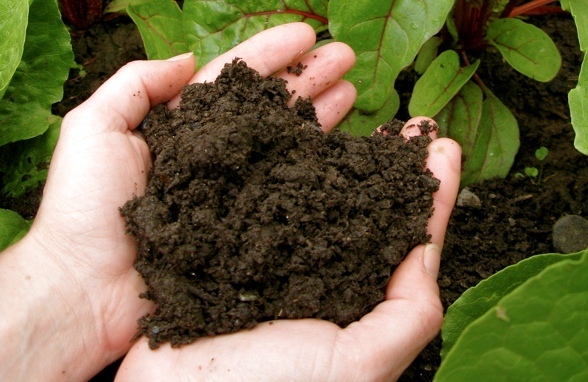 To start preparing your own garden compost, collect ingredients of compost regularly from your kitchen and garden. Prepare layers of compost material in the form of a heap and water it once a week. Turn compost material as often as possible with a fork. Allow organic matter to break down into a balanced compost. If you have a large garden, you can start with two heaps – while you are working on one heap, keep adding daily collections to the second heap. In this way, you would be able to maintain a steady supply of home-made compost. Green thumbs who live in high rise buildings or do not own gardens can use compost tumblers. They are easily available at any garden store or you can make your own compost tumbler (video). Add daily collection of organic waste to compost tumbler. Add water regularly and let some air get into the layers but regularly turning layers of organic matter. Since these tumblers would retain temperature and moisture, the organic matter breaks down quickly and form balanced compost within two or three weeks. If you have enough space, start with two compost tumblers – one for ready-to-use compost and the other one for future use. I will definitely check out the compost tumbler DIY. Thanks for the link.